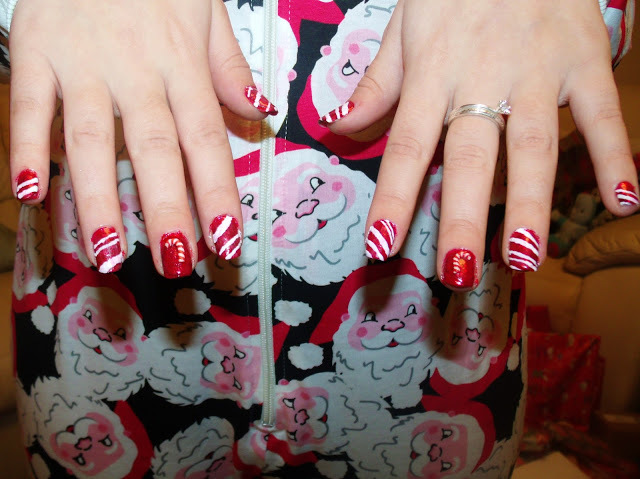 Here’s a little blog post on my Christmas nails! I wanted to do something different, and my nail art skills aren’t up to much. 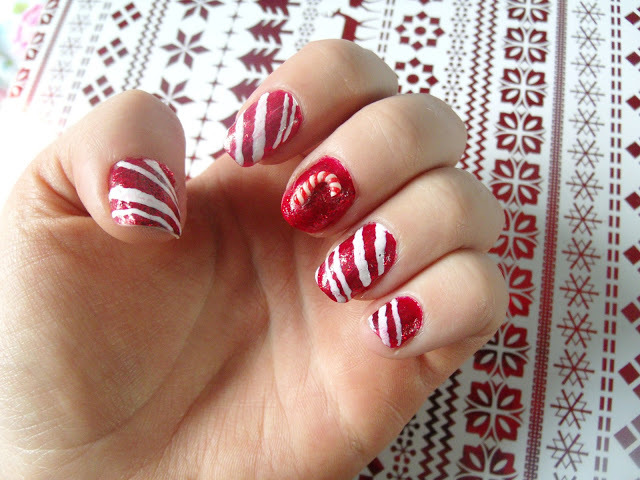 So I decided to try a simple candy cane pattern! I used Knockout Red by 17 as a red base coat, and then applied some red glittery Models Own Scarlett Sparkle. Then on all of my nails except my middle finger, I used a white nail art pen that I picked up in Poundland. 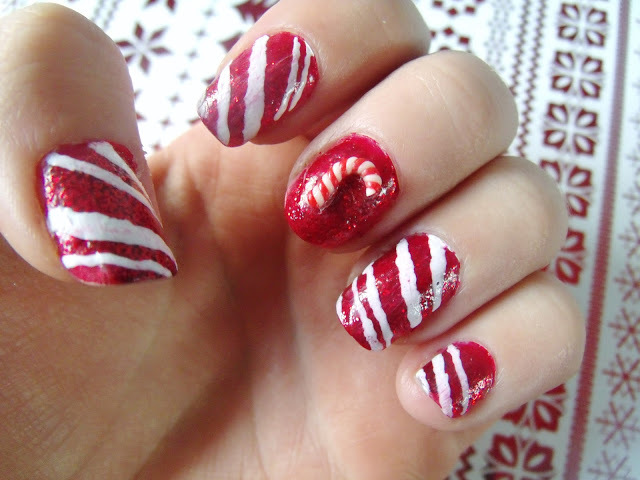 I carefully tried to draw diagonal lines through the nails, some thin and some thick, (they’re not supposed to be even) to give a candy cane inspired look! I then used a little candy cane plastic decal and glued it to my middle fingers 🙂 They’re certainly not my neatest nails, I rushed them on Christmas Eve! What do you think?! 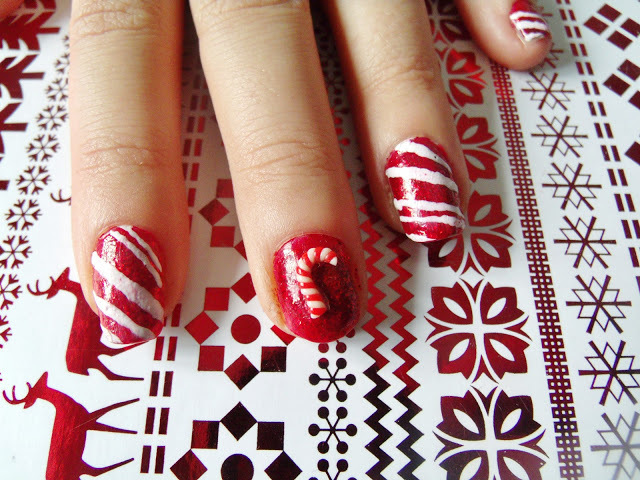 These are so festive, great look! How festive and lovely, looks great! Can I hire you to be my own nail person? Yours always look awesome! These are so sweet! 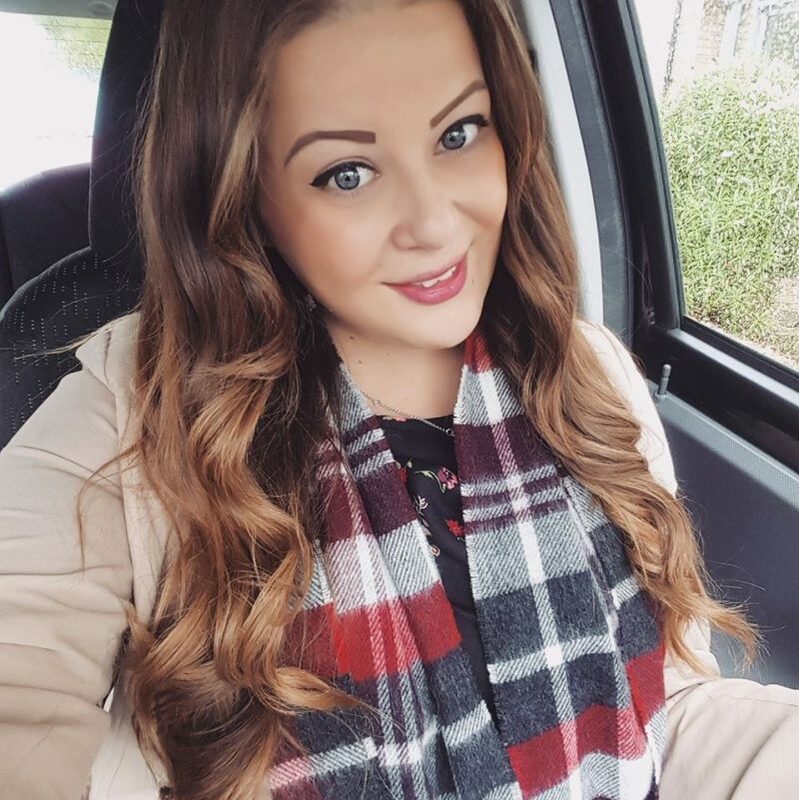 I wish I could take the time to do mine so nicely, I just don't seem to have the patience! ah I wish i'd have thought of that, perhaps next year!